Devon is a Life Leadership Coach who works with individuals, teams, groups and parents. She specializes in a presence based approach to embodied leadership principals drawing from an eclectic background. Devon is accredited by the International Coaching Federation. She is a Certified Deep Coaching Professional through the Deep Coaching Institute. She is a Leadership Embodiment Associate Professional through Embodiment International. She is also a graduate of the Core Strengths Positive Psychology Coaching program at San Francisco state. 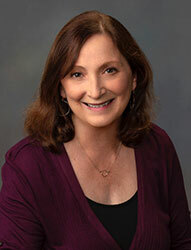 Additionally she has 35+ years of training and experience as a Somatic Therapist and teacher. Devon is known for her ability to synergize her diverse background into an individualized, action oriented approach, guiding her clients toward maximizing positive change both personally and professionally. Devon’s coaching passion is in empowering her clients’ discovery of their own unique, practical tools for living life everyday with increased insight, alignment, vision and presence. She views the wisdom of the Enneagram as an essential growth tool for understanding how we filter our experiences creating the illusion that our inherent ‘wholeness’ is divided. As a coach it is her greatest joy to witness her clients deep fulfillment, as they rediscover their own intrinsic movement toward wholeness through applying the Enneagram as a tool for embodied awareness and presence. Coming home again to where they’ve always been! Here, now, embodied in this moment!